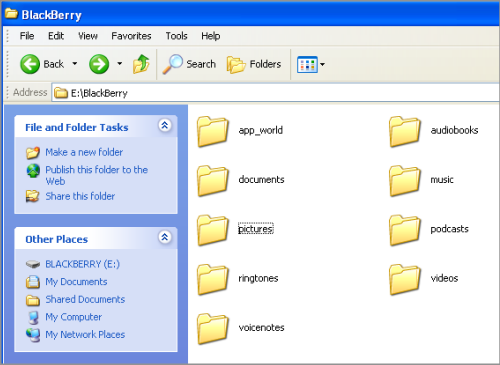 What use is having all those wonderful pictures if you cannot transfer them back and forth between your BlackBerry and your Windows machine? 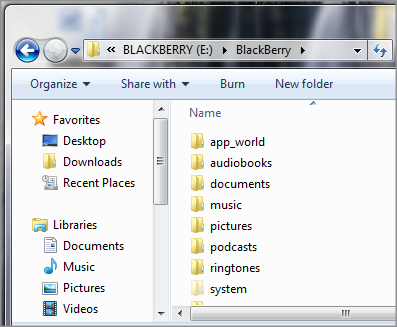 These directions show how to setup your BlackBerry and Windows OS so that you can import and export media files easily. 6. Connect your BlackBerry to your WIndows PC. XP, Vista, or Windows 7 operating systems all handle this the same way. 7. The Windows OS will probably install several drivers. Wait until it is done.